Security for cloud applications with network security, runtime protection, and access control capabilities powered by application identity. 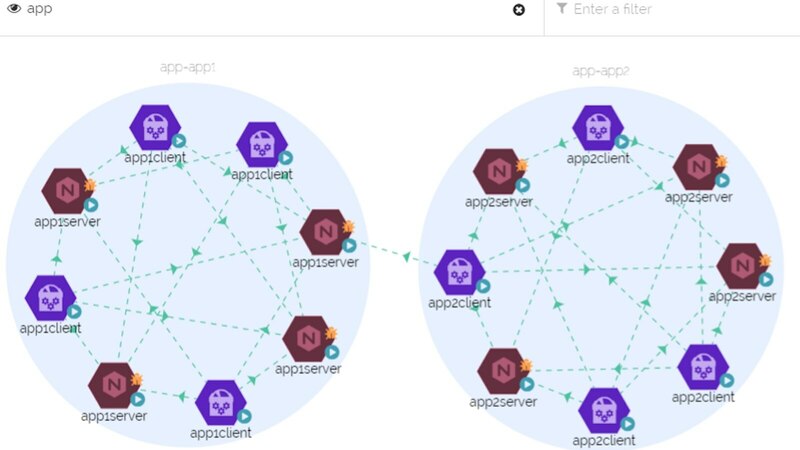 Microservices, containers, and cloud are allowing enterprises to build and deploy applications with ever increasing speed. However, security teams have diminishing control and visibility into what is happening with these applications, especially as they become distributed across public, private and hybrid cloud infrastructures. Enabling the business to move fast and to the cloud requires a rethinking of static, perimeter-centric security and moving to a Zero Trust security model. With Aporeto, enterprises can have strong security while maintaining their agility and business edge. Each time a service attempts to access another resource, Aporeto creates a rich, multi-attribute application ID that travels with the I/0 request for authentication and policy authorization. 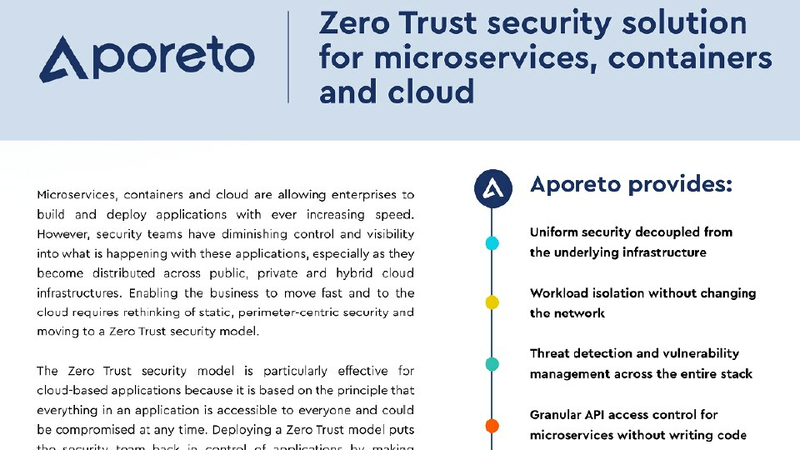 Aporeto automatically generates security policies for all resources based on their unique application identity and enforces them in distributed environments. Example: Transparent traffic encryption. Aporeto orchestrates authentication, authorization, and encryption for all application resources. System-level run-time protection and visibility are achieved through inspection of all communication.